The short film is fully animated and shows a prototype of a future world. 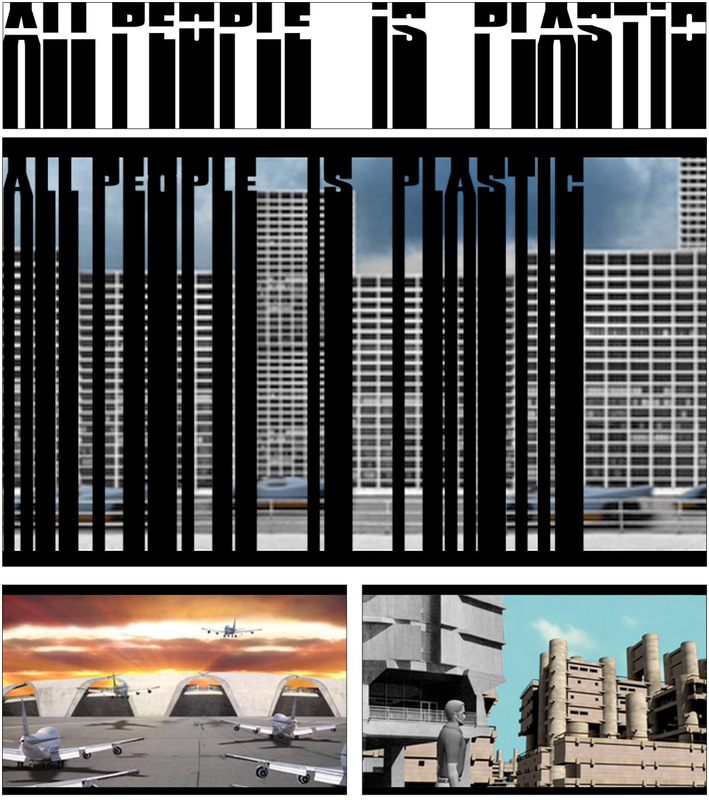 The title ‘All People is Plastic’ slides in, first separated and at the end forming the whole title – and is/becomes a barcode. In the history of cinema the modern big city has often served as a screen onto which dystopian fantasies are projected: The idea of the urban space. Everybody in the city do the same, look the same. They is the same.